Today we want to show off an appropriately weird little something we’ve been working on: the Ray’s the Dead Team Fortress 2 Hat! Ragtag Matt has been hard at work on this hat, and we think he did a bang up job! Here at Ragtag we are always thinking of ways we can try to get the word out about our game in a different way, and we think Ray’s the Dead is a game that should appeal to anyone that craves something a little different. Providing the hat is an attempt to try to get a new genre of gamers to give our game a shot. The original reason we made this hat was to try to drive additional attention to our Steam Greenlight page, but we were Greenlit before we had a chance to try this out. So today, we are posting two pages on Steam. One, is our official Ray’s the Dead Coming Soon page. 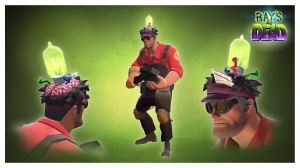 The second, is our Ray’s the Dead Team Fortress 2 Hat page. 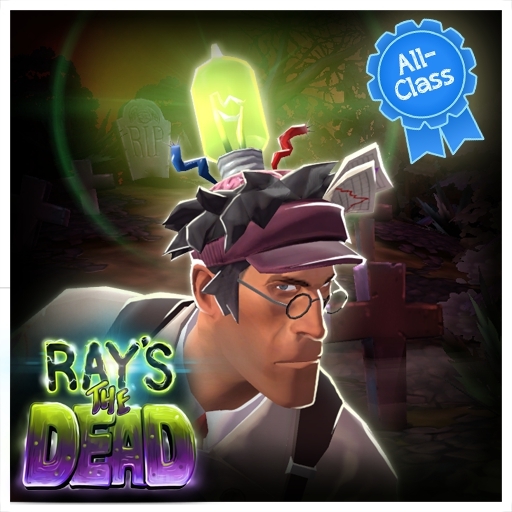 Our hope is that many of the people that browse the new items in the Team Fortress 2 Marketplace will see our hat, wonder what the HECK it is, think its really cool, give us a 5 star rating, leave a nice comment, and most importantly, flip over to the Ray’s the Dead Coming Soon page and check out the game itself. After talking with Valve a bit, if the hat does get enough of a positive response and is accepted in to the TF2 store, we should be able to offer it as a free pre-order bonus with the purchase of Ray’s the Dead! We have seen a few other games do this, and hope it will be a compelling motivator for people to order the game ahead of its release. 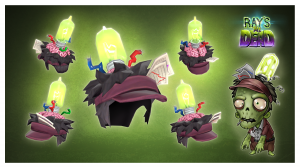 So while we have you, please take a moment to vote and comment on our Ray’s the Dead TF2 hat page. Oh! And please check out our Ray’s the Dead Coming Soon page. You can do fun things like add the game to your wishlist, and help us out by starting things off in the community page. And just as important, please help us spread the word amongst your pals that may be interested. If we get the hat accepted into the store fast enough, we can involve it in our forthcoming Kickstarter campaign!